Go ballooning and experience the fascinating plains, savannah and wild animal life of Africa from a fresh new angle. 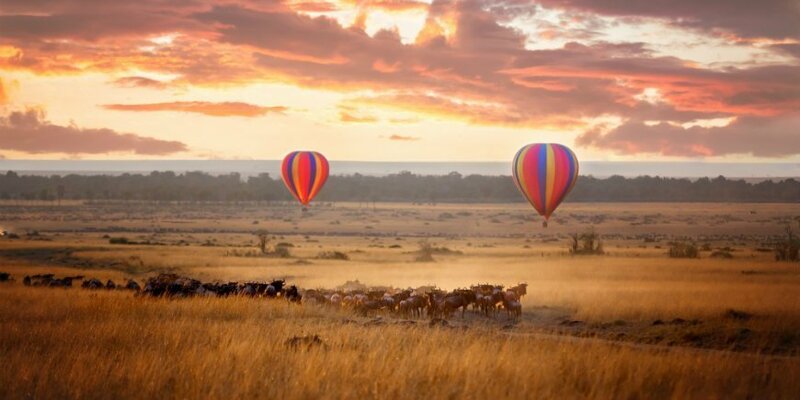 Feel the rush as the hot air balloon takes flight and silently floats over herds of elephants or giraffes as the sun slowly rises in the horizon. A balloon safari is an experience for life, one only a few can claim to have had. What is a balloon safari? A balloon safari is a safari experienced from above, in a hot air balloon. This is a unique opportunity to see Africa from a bird’s eye view, floating above wild animal life and gorgeous landscapes. Balloon safaris tend to involve the following, but may vary depending on the destination. You’ve got to get an early start! Your balloon will launch very early in the morning, so that you have a chance to watch the sun rise in the horizon from up in the air. Once you are in the basket, the balloon fills with hot air, and you soon feel the rush in your stomach as the balloon takes flight. The balloon safari itself typically lasts about an hour, depending on the weather. 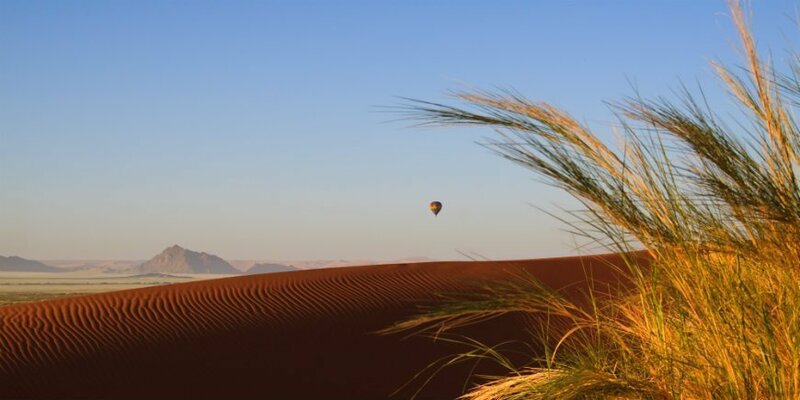 Depending on where the balloon safari takes place, your experience may conclude with an ‘Out of Africa’ breakfast with champagne to be enjoyed in the African wilderness, while you think back to your experience in the air. Where can you go ballooning? 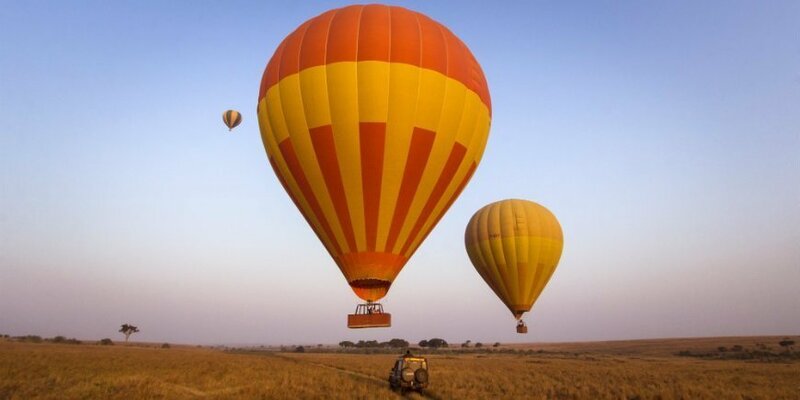 With Africasafari.co.uk, you can go ballooning in Tanzania, Kenya and Namibia. In Tanzania, you float above the plains of the Serengeti National Park, giving you an incredible view of its rich animal life and idyllic nature. In Namibia, you can see the massive sand dunes of Sossusvlei while you take in the gorgeous sunrise, watching it paint the sky a radiant morning red. Please note: You can purchase the balloon safari to add it to selected tours, but remember to book it far in advance. There are few spaces in the hot air balloon, and this unique experience is in high demand. Bring a sweater or another outerwear that you can remove later. Depending on the season, it may be cool in the morning and hot later in the day. It may be a good idea to bring a hat, as the burners that power the balloon produce a lot of heat.